That’s it for the livestream. I will have a full post on the Christening later today. I’m a work and can’t watch it live! Booooo! I love these events and seeing everyone in action as it happens is so very very different than judging by photos alone. It makes a huge difference watching it live. You can see details, and interactions between individuals that stills just don’t catch. It is very revealing. Sofia has the most beautiful skin!! Too bad Leonore and Nicolas won’t be there but I’d imagine Leonore is a bit too much of a handful! Welcome to God’s family little guy! Sorry for going off topic but as the service hasn’t started I didn think it was too rude. Harry and Meghan are doing their first engagement …..oh my kiddy aunt. She’s incredible. She picking up babies gloves, stroking member of the public’s arms, holding Harry’s hand. Having flowers thrown at her. Getting down to eye level with children and people in wheelchairs. She looks like she was born to do a walkabout. And do you know I couldn’t even tell you what’s she wearing except she has no gloves on what is one of the coldest days of the year so far …..it’s not even relevant. It’s staggering watching her do this. She’s used to people, I think and is an out going person so I wouldn’t be surprised she’d be good at meeting people. Great to have compared tot he other members of the RF! ETA: Richard Palmer has a video. She’s chatting, thanking people so much for coming, how lovely it is to meet you, what is your name, etc. Very engaging and sweet. What’s really impressive is she’s engaging with the royal protection and lady in waiting as they advise her. You can see her listening to advice and steer too. And the way her and Harry walk the walkabout with their arms around each other….. it’s adorable. I’m swapping back and forth between christening and the walkabout. Meghan is doing a wonderful job. And so is Harry. And yes I noticed she was listening to and acting on advice. I think she is wearing gloves so she can share her ring. People are already bashing them for holding hands and how unprofessional it is. Honestly I like seeing normality like that. I don’t like seeing the coldness between W&K or their rudeness even to one another! If people are criticising Meghan and Harry for holding hands they are really grasping at straws. It’s totally in keeping with their style to be tactile with each other and the day they stop all the spontaneity will have been taken from them. It’s just adorable and good for them. When they spread a bit of their joy and happiness around it’s infectious and I’m all for that. People need joy and happiness in their lives. It’s very Diana, very Harry and totally Meghan. It is lovely to watch. Her style reminds me of Diana also. I also thought Harry was very protective of her. Meghan looks lovely – she has wonderful style. No problem with a newly engaged couple holding hands – I love her coat. I don’t see a reason to compare William and Kate – they held hands at Sandringham one Christmas but he is a future king and so there is going to be a different level of spontaneity. I would never judge couple by what they show or don’t show. 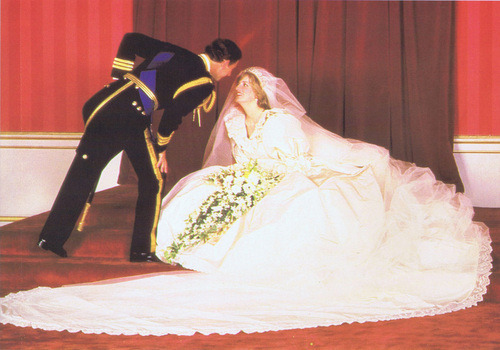 PDA is not usually a royal thing – Philip and the Queen have done very well for seventy years with only one parting kiss being shown over thirty years ago. The idea my late mum used to say, and she called my hubby and me on it, is that those who show the most in public have the least confidence in what’s going on in private. Old generation thinking. But even she wouldn’t fault a newly engaged couple like this. It was a delightful visit. It’s definitely a personal preference; there is no official rule on PDA. The Queen and Charles are old school, William also personally prefers distance at engagements. 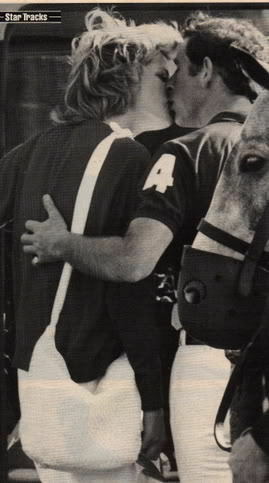 Regarding any PDA shown by royal couples……there is no rule that says they cannot show PDA regardless of rank. There is discretion of course, and personal style of each individual couple and that is what you see displayed. 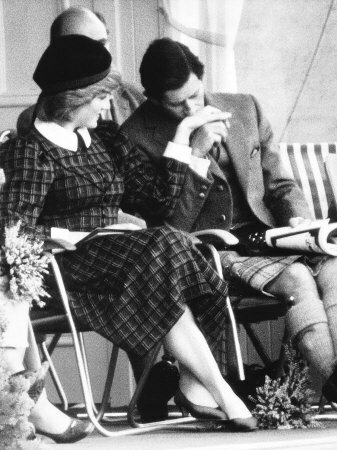 The Queen and Philip are from a generation that thought it quite rude to show PDA. Think of our grandparents. Loved each other, probably had a few moments in public, but mostly kept up a stiff upper lip. 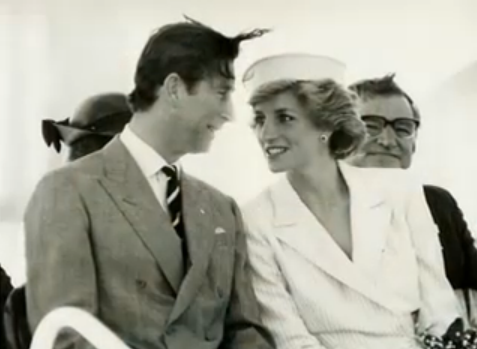 The myth of ‘royals aren’t allowed to show PDA’ and it’s cousin ‘senior royals aren’t allowed to show PDA’ started with Charles and Diana and their imploding marriage. Unfortunately, as we all know, their marriage imploded early. However, appearances had to be kept. They carried out their joint engagements without touching each other. Couldn’t stand each other all those years. And the press continued to spin the fairytale marriage so the public began to assume that the lack of PDA was a real thing or royal protocol. William and Kate started out by hiding their relationship. Even when they finally showed it, they didn’t want to give the media any good shots of it. So they maintained distance and no PDA in public for most of those 8yrs. I think it set the pattern of their relationship and they’ve continued it in marriage. Coupled with William’s refusal to give the media anything even on official engagement like at the variety show. Harry has always been very tactile with his girlfriends. Even Cressida to begin with. We have loads of Chelsy and Harry PDA. Afew Cressida and Harry PDA. Although a reporter who observed them on a train journey later said that the lack of PDA was probably a strategy because they were tactile on yhe train, but separated and walked as far away from each other once they spotted a photog. And so with Harry and MM. Years of PDA to look forward to. I created an open post over on MMR for discussion about the Nottingham visit. I will not be doing a live blog over there, but I will have a full post much later about the visit. And Meghan is here to stay. Yay!! Please keep the Meghan topics to her own blog, Meghan Markle review. Thanks. To clarify I did apologise at the time for going off topic but it was spontaneous and felt relevant in that it was happening live at the same time and as result KMR gave us a specific thread on MMR so there was no harm done. I don’t think your reprimand really takes into account how things were unfolding this morning with both the christening and the walkabout trending heavily on social media at the same time. I think the ‘mania’ that Harry & Megan’s walkabout generated took us all by surprise. My apologies also for getting off the topic. But so reminiscent of Diana. How she use to be kind dive right in and had so much enthusiasm and she knew how to work a crowd. It is just so refreshing, she is going to be a real asset and I think will get out and want to make a difference. Harry must be very proud! Thank you KMR for Prince Gabriel’s Christening, how lovely to see such strong tradition still in place. Prince Carl, Phillip and Sofia seem like such a nice couple. Wow! Princess Estelle pouring the water he is really a little beauty, god love her. Such poise and maturity already. Love her outfit, yes Victoria looks so classy just love the red. I don’t like how Sofia has painted her nails.It looks unclassy. Why does it look unclassy? I think she looks great. It looks unnatural given the color she has painted them. Nail varnish looks great – it is not supposed to look ‘natural’ unless it is a clear varnish. I don’t understand why this is inappropriate. But then I love a nailpolish! That is not costume. It’s traditional dress. You wouldn’t call the traditional dress of Native Americans costumes, would you? I don’t recall either Vic or Maddie wearing a national costume at their childrens’ baptism. Faulty memory? I just looked down thread to evchen’s post at 12:12pm and see the explanation for Sofia’s dress. Victoria looked amazing in that red outfit! Marvelous! And I loved Estelle’s sweater. I’ll have to look into how much it is… my daughter would look so sweet in it. But: how strange is it that Sofia wore national dress? Bizarre. Maybe because Gabriel is duke of the region she is from? I thought Victoria looked fabulous, too. Very elegant and a welcome change from flowery Erdem. But, darn it, I missed the live stream, so waiting for it to be up on youtube. Ah, baby Gabriel. You are doing things to my maternal instinct and making me want another baby soon. I’ve been trying to be more rational, but you are one cutie. So is your brother. And, Estelle!!!! The Swedish Royals are a warm and loving family and I like what was said above to Gabriel. May I second that, Ellie? Welcome to God’s family, indeed. The SRF have the cutest children. I only wish all of them were there today. According to the SRF website, Leonore and Nicolas are recovering from jet lag, as the family just recently arrived back in Sweden from the USA. I missed Leonore and Nicholas too. I did like Estelle pouring the water. What a lovely way to get Estelle involved. Estelle did look cute in her sweater. I’m not a big fan of Sofia but I think she looks lovely today in her national dress – in Norway. I attended a christening and the mum and a number of the ladies and even the little ones wore their bunads. I adore Victoria’s New Look suit. Estelle has such poise and seems so sweet. Silvia looks lovely – her suit matches her family order. Madeleine is pregnant and just off a plane with little ones – no wonder she looks tired. Her dress is pretty. Leonore is such a cheeky little monkey I miss her but I can certainly understand why they left the pair home – don’t want the day ending in floods! The outfit Sofia is wearing is not a costume, it is the regional dress from the region where she grew up, which happens to be located in the Dukedom of Dalecarlia. It is quite common in Sweden if you own one of these outfits to wear it to special occasions. Although I left Sweden 40 years ago, I still have mine, crafted by my mother, in the closet. Thank you for the explanation. My only knowledge of Swedish christenings is the royal family, and none of them has worn a regional dress before, that’s why I thought Sofia today was a bit odd. Thank you for explaining that this is not uncommon. When I first saw Sofia, her outfit (especially the head-covering) made me smile. I don’t remember any of the royal ladies wearing the regional dress for previous christenings, but that may be my memory failing. Either way, I found her outfit very festive, and she pulled it off very well and with confidence. I loved Sofia’s regional frock. It was festive and in keeping with the occasion. Alexander is such a beautiful child,really sweet. Great gesture that Estelle was allwowed to pour the water. And I know, it has nothing to do with anything but I would fall in love with Chris.I love such kind of men. I’m excited how Harry’s and Meghan’s first engagement was. Did I miss the reason why Sofia is wearing traditional dress? That hasn’t happened before with any of them has it? I find it slightly strange. Someone gave an answer above. Sorry to not paraphrase. I was in the car on the way to a doc appointment. Didn’t want to leave you hanging! Why is Sofia in native costume? Was she in that for her eldest son’s christening. Gabriel is the Duke of the region she grew up in. I don’t think that’s happened for any of the other family members. I think it’s appropriate under the circumstances. Just saw this for the peeps in the U.K.!! £10 Hamilton tickets via lottery! Y’all should apply or just buy tixs (don’t know what they’re gong for) but totes worth it! I love that Sofia wore her regional dress. It shows her heritage at an important event. Good for her. I like when something traditional is done like this. Too much of that is being lost in today’s culture. I also like how their are photos from inside the Christening. It was a lovely event. Do you think Madeleine is pregnant with a girl because of her choice of wearing pink? That’s a lot of work, live blogging an event. Thank you KMR for doing this! And thanks from me too KMR! Me too. Much appreciated KMR. I was taken by the intimacy of the relatively space for the ceremony which is something you can’t see in the stills. And I don’t think I have previously seen Sofia’s sister who I believe is a godparent. I am always impressed at how perfectly Estelle masters all her public outings. I have never seen her act out and I would love to know Victoria and Daniel’s secret. In the end she is just a child and no child is always an angel, so they really did a great job in preparing her for her outings. Victoria looks fantastic! Only downside is that whenever she and Sofia+Gabriel were in the shot together I didn‘t even notice Sofia or Gabriel. Can’t help myself but think that Kate would’ve been called out for this. Anyway- I think I need an ensemble like this now. Sofia‘s choice of dress has me on edge. I really like the idea of wearing the traditional dress the baby is becoming the duke/duchess from. But I thought it strange that this is the first time one of the three women did it. This could have been a nice tradition for all of them, but to be honest: I prefer the modern dressed up looks. Loved how she interacted with Gabriel, and how CP with Alexander after the service. The red flowers were beautiful and the music was nice too. I couldn’t help myself that apart from Sofia and CP everyone looked a bit tense and wondered if they received bad news about something. Apart from Chris- he always looks so bored. And while I absolutely understand not to bring your children if they are ill, jet legged or having a day full of tantrums- the date for the christening was long known. They could have come earlier to let them adapt. Even with Chris working, Madeleine could have traveled two days earlier. And as far as I recall Leonore isn’t going to school yet. So in my eyes it is just personal preference- which is still fine but will get no pity from me. And it’s not as if they came from outside Europe (but I may be mistaken here). Please note: I am not saying anything about Madeleine looking bored or tired. Because first she didn’t and second she is pregnant. I remember toddler Estelle holding out her hand to shake hands with an official at an engagement. Could barely stand/ walk, but held out her hand like a pro. Obviously the parent told her to do so, but it was impressive how calmly she did it. I think Vic and Dan have been very good at incorporating their children in public events from early on such that the cjildren are very calm in public and aren’t frightened by crowds.